AUTHOR SPOTLIGHT: A Chat with Annie Silvestro in Celebration of the Release of her Debut Picture Book BUNNY’S BOOK CLUB! Today I’m delighted to have children’s author, Annie Silvestro, as my guest. Annie and I met several years ago at the NJSCBWI annual conference and I’ve enjoyed following her (and cheering her on) in her writing journey. Her debut picture book BUNNY’S BOOK CLUB, illustrated by Tatjana Mai-Wyss and published by Doubleday Books for Young Readers, releases this month. The story of a book-loving bunny who sneaks into the town library and borrows books for all his forest friends, KIRKUS REVIEWS hails BUNNY’S BOOK CLUB as a “sweet salute to reading” . And in its review, PUBLISHERS’ WEEKLY states that Annie “makes the pleasures of reading abundantly clear.” What’s abundantly clear to me is that Annie has a gift for charming storytelling. Welcome, Annie and let’s get started. Your love of language is evident in BUNNY’S BOOK CLUB. How was that love developed? Thank you for saying that! I have always been a reader and my love of language goes hand and hand with that. One of the many joys of reading is recognizing that perfect word, sentence, paragraph, or passage that stands out and elevates the story. Author Annie Silvestro as a child. Did you always want to be a writer? Tell us a little bit about your writing journey. I have always loved children’s literature, but it took me a while to see myself as a writer. I first attempted to write down a beloved story that my father told me growing up. I failed at that, but the experience gave me the courage to keep trying and to come up with my own ideas. Once I found the SCBWI, it was a done deal. Do you have writing advice for children? Adults? For children who are writing, my best advice would be to recognize that your first draft isn’t your only draft. Writing also means lots and lots of revision. Good advice in general is to read as much as you can. Listen and observe the world around you. Ideas are everywhere. When you are lucky enough to get one, write it down! Just as quickly as ideas can appear, they tend to disappear as well. BUNNY’S BOOK CLUB is your debut picture book. How does it feel to be “post-publication”! What do you like best about this exciting new stage? It is the most amazing feeling! So far the absolute best part has been photos that friends and family have sent of their kids holding or reading my book. It is surreal and wonderful and I haven’t fully wrapped my head around it. I am feeling all kinds of grateful, too, for the support I’ve received. It’s unbelievable. A young fan enjoying Annie’s book! Finally, what’s the one question that you wished I’d asked but didn’t. I wish you had asked me about Picture the Books! 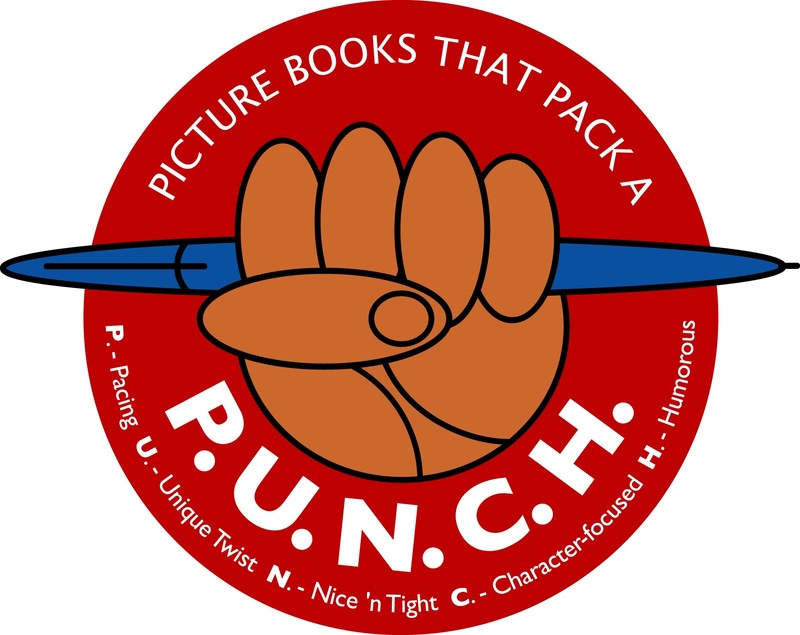 Picture the Books is an incredible crew of debut authors and illustrators with books coming out in 2017. It is so fun to share this journey with such a talented group! You can find us all in one place and learn about our books and more here. Annie Silvestro is a lover of books who reads and writes as much as possible and can often be found shuffling piles of them around so she has a place to sit or someplace to put her teacup. Her picture books include BUNNY’S BOOK CLUB, illustrated by Tatjana Mai-Wyss (Doubleday Books for Young Readers), MICE SKATING, illustrated by Teagan White (Sterling, Fall 2017), and THE CHRISTMAS TREE WHO LOVED TRAINS, illustrated by Paola Zakimi (HarperCollins, Fall 2018). Annie lives by the beach in NJ with her husband and two boys who like to read, and a cat who does not. Visit Annie online at: www.anniesilvestro.com and on Twitter and Instagram: @anniesilvestro. On this chilly Friday afternoon, with even colder weather in the forecast, I can’t resist reposting this old favorite. Grab a cup of hot cocoa and enjoy! There’s a scene in Laura Ingalls Wilder’s LITTLE HOUSE IN THE BIG WOODS in which Laura and Mary spend a magical morning etching pictures in the frosted windowpanes of their little cabin using Ma’s thimble. As a child I wanted to try that, but our windows were too well-insulated to gather frost. Imagine my delight, then, to discover thick frost completely covering the old-fashioned windows of our detached garage. For several days, I’ve been itching to take my thimble and do a little ice etching of my own. And that’s exactly what I did today, using my keys, instead. Doesn’t it look magical? Like window frost begging to be etched, good picture books invoke in me a nostalgic return to childhood and a reminder of the simple joys in life. When my children were younger, our days were enriched by reading picture books. What a treat it was to curl up together on the sofa with a stack of books. The joy we found in those books was not flashy or over the top, but simple and deep. We cheered on Mike Mulligan and Maryanne, from Virginia Lee Burton’s MIKE MULLIGAN AND HIS STEAM SHOVEL (Houghton Mifflin Books for Children, 1939), to dig a little faster and a little deeper, and afterwards, scurried outside do our own digging in the snow. And Sam McBratney’s GUESS HOW MUCH I LOVE YOU (Candlewick, 2005) evoked such warmth that we held our own matches to show how much we loved each other. If you’re feeling like you’ve gotten too caught up in the busy-ness of life, may I suggest heading straight to the children’s department of your nearest library or bookstore and stocking up on some of your old favorites as well as some delightful new picture books? Then curl up and read, read, read! It won’t take long to feel the magic, for picture books hold within their 32-pages, that sometimes much-needed reminder that our deepest joys are found in the simple pleasures of life – following a butterfly on her journey, getting a new pet, having a tea party on the porch, counting tadpoles in the swampy puddle in the woods. Stop by the BHPL BOOK BLOG for a FUN INTERVIEW! 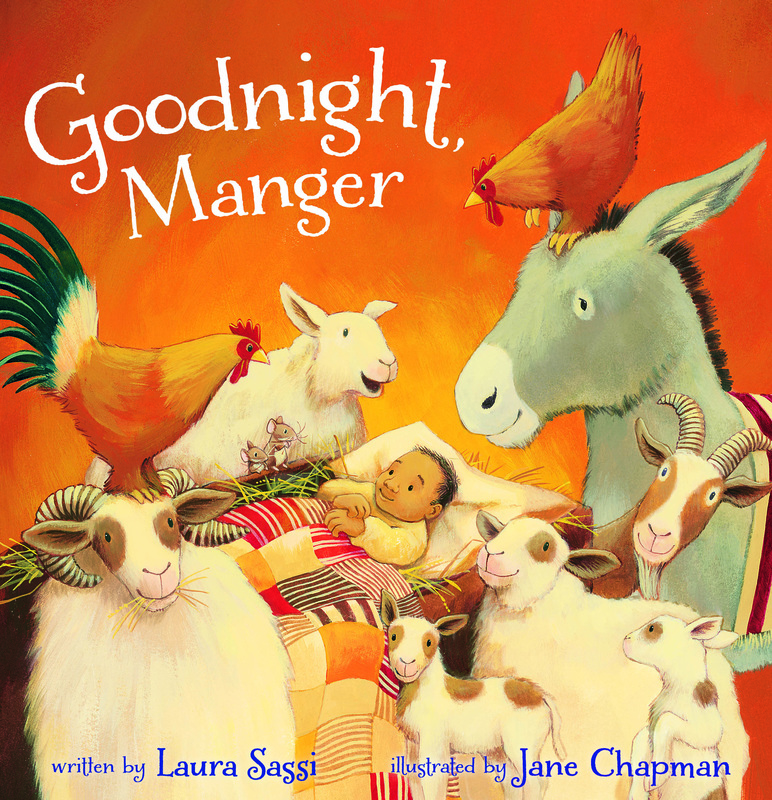 In anticipation of my GOODNIGHT, ARK story time visit at the Berkeley Heights Public Library next Tuesday, I was interviewed by the librarian! 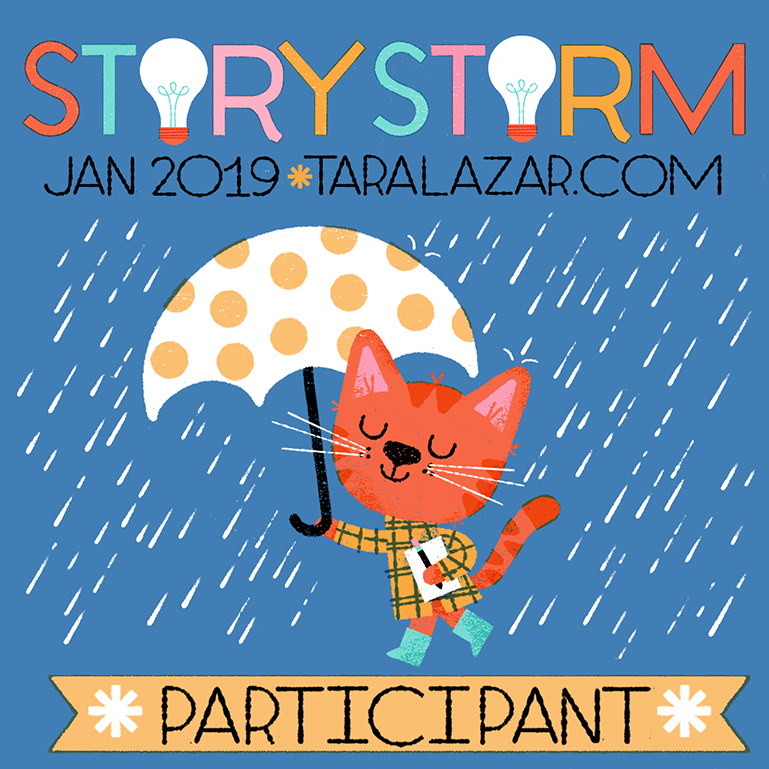 We had the nicest time chatting about writing picture books, working with an illustrator, living in New Jersey and more. Curious? Then hop on over. I’ll make it easy. Press here. 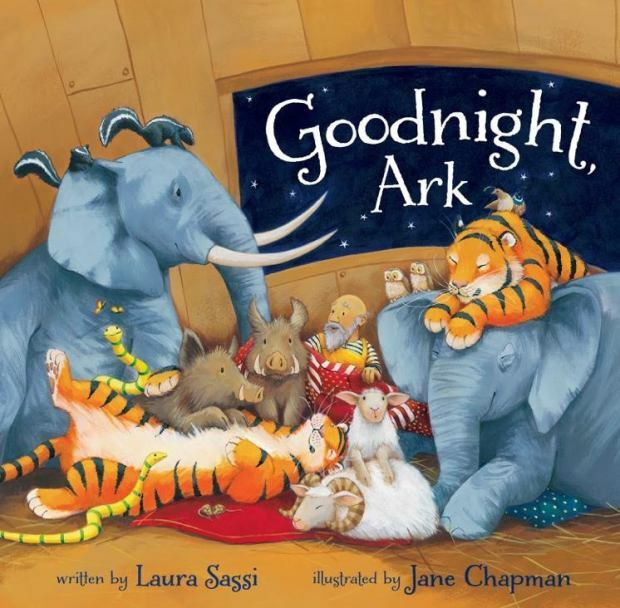 NOTE: The GOODNIGHT, ARK story time will take place next Tuesday, July 19th at 10:30 in the Children’s Room of the Berkeley Heights Public Library. Please join us if you can. My daughter and I recently spent a week in Lexington, VA visiting my dad. One of the highlights was visiting the amazing Fairy Forest at Boxerwood Nature Center and Woodland Garden. The Fairy Forest opened this spring and is growing quickly. Garden Director, Faith Vosburgh, explained that this colony for fairy folk is meant to be a place where children can come to explore and build. She showed my daughter buckets containing prickly balls, pine cones, pods, acorn shells, twigs and other bits of natural building material perfect for building and adorning fairy houses. But, before building her own fairy house, my daughter wanted to explore the woods for inspiration. She peeked into the structures previous fairy house architects and engineers had constructed. She looked at this house and this one and this one! And this one… and this one! And as she did, she took mental notes about what worked, in her opinion, and what didn’t. Next, with her own plan in mind, Miss A. was ready to begin. She picked her special spot and cleared space for her foundation. Then, using bits of nature and her wonderful imagination, as well as some of the fairy abode principles she had observed, she built. She built and built and built! Until, finally, her fairy house was finished! As a writer, think that the Boxerwood Fairy Forest is a wonderful, visual reminder that good writing should be grounded in a solid understanding of our subject/genre. Indeed, whether building fairy houses or writing picture books, it’s important to look to those who have built before us, or who are building alongside us, for wisdom and insight into what makes a long and lasting structure/story. For me, that means reading, reading, reading! Each week this summer, I plan to lug home a bag full of picture books from the library. Some will be classics I knew and loved as a child. Others will be new books by contemporary authors. I will read them to myself, to the kids, to the dog and as I do I will analyze what makes them work or not. I will record my thoughts in a notebook for future reference. Then, just as my daughter did at Boxerwood’s Fairy Forest, I will gather my own twigs, bark, and yarn, and build my own stories, applying what I’ve learned from the experts. How about you? What’s your version of a trip to Fairy Forest? How do you plan to grow and learn as a writer this summer? I’d love to hear your thoughts. Each year the New Jersey State Library bestows the Best Practices in Early Education Award to four outstanding New Jersey public libraries that provide exemplary literacy programs for children from birth to six years, their families and caregivers. The award comes with a $1,000 honorarium, a certificate, and promotion of the winning library as a model program for other libraries. This year the Cranford Public Library (my local library!) was selected to receive one of four of these statewide awards for its Family M.E.S.S. (Math, Engineering, and Science Saturday) program. Children’s Librarian Lauren Antolino is the creative organizer behind Family M.E.S.S., a popular bi-monthly educational program where kids ages 2 – 10 and their caregivers participate in a variety of hands-on experiments and problem-solving challenges related to math, engineering and science. I’m delighted that Lauren has agreed to an interview today. Thanks so much for joining us, Lauren! Let’s get started. The Family M.E.S.S program is not only popular with your young patrons, it’s now *award* winning! What do you think is the secret to its success? The community! Cranford is a great town, full of parents who are interested in opportunities to learn and play with their children. We’ve found that a large number of our patrons, particularly younger children, love science, engineering, and/or math, so the interest is definitely there. Many parents are actively seeking fun, educational activities for their children, especially on weekends. One of our goals in creating the program was to engage families in “learning by doing” at the library, and it turns out they were looking for the same! Another huge factor, of course, is that the children who attend the program love making a mess, and parents love not having to clean it up! Describe for us what a typical Family M.E.S.S. session looks like. As the name suggests, Family M.E.S.S. often involves making a mess! We provide families with stations of simple, open-ended activities: one based around math, one around science, and one around engineering. Families spend about 10 minutes at each station before rotating to the next activity. There’s typically a lot of excitement for the science station, which is always our messiest! We’ve made “elephant toothpaste,” “rainbow milk,” and DIY slime. With so many wonderful hands-on activities, it seems like preparing for Family M.E.S.S. sessions and then presenting could be quite involved. Do you have any prep/management tips to offer other librarians and/or teachers who might be interested in engaging their young library patrons or students in something similar? There’s no need to reinvent the wheel! I first heard of the idea of Family M.E.S.S. at a “STEM made Simple” class, and used it as a springboard for an ongoing program. There are so many great programs out there, it’s just a matter of finding the right one for your community. Everyone has limitations, for us, it was important to take those into account and present a version of the program that would work here. We have limited staff, which led us to add a journal that would help us easily communicate instructions. It ended up being a great addition, because families leave with everything they need to reproduce the activities at home. It also added this wonderful reading/writing component to the program, which we love! Family M.E.S.S. is just one of many engaging programs you’ve organized for our library. Other programs include weekly story times for all ages, including the popular “Story Time Yoga” for ages 2 – 5. You even have a book club for older kids called “Page Turners”. How do you decide what types of programs to put together? Which have been the most popular? I inherited some fantastic programs when I started here in 2014: Therapy Dogs, an amazing Summer Reading Carnival, and Story Time Yoga. Many of the other librarians and library staff have been working here for a very long time, so we spend a lot of time talking about programs that sound interesting and brainstorming ways to make them work at our library. I cannot stress enough what a valuable resource they are! We all keep an eye on the books that go out, listen to feedback from program participants, and consider programs that have been successful in the past. We recently had a “Minecraft Circuits in Real Life” program, created by a group called Soldering Sunday, that was a huge hit! It was an introduction to circuitry that might otherwise be a hard sell, but the Minecraft aspect caused it to quickly fill up. “Where do you see this program going?” I’d really like to find a way to integrate technology while maintaining the parent/child dynamic that we’ve established. The library’s Friends group generously donated five iPads last year, and we’re working on finding the best way to incorporate those into the program. We’re in a good position to act as “media mentors” and guide parents in their use of media with their children, so a tech component would be a great addition! Thanks so much for joining us, Lauren. Three cheers for wonderful librarians and vibrant programs for kids at our local libraries! 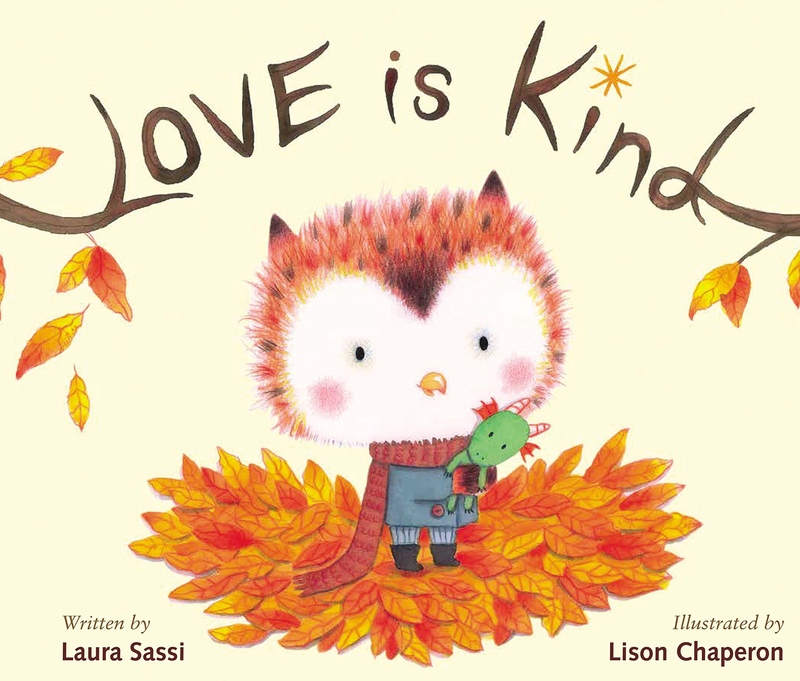 Top Ten Circulating Picture Books of 2015! One of the blogs I follow faithfully is Lauri Fortino‘s Frog on a (B)log, a terrific blog that celebrates picture books. Her post last week about the Top 15 Circulating Picture Books of 2015 at her local library inspired me to reach out to my local library to see if I could get similar data. Our lovely Children’s Librarian, Lauren Antolino, was happy to oblige. Once she had the results, she gathered as many of the top ten circulating picture books as she could so I could snap this picture. If you count, you’ll see that one is missing. That’s because, you guessed it, all copies of Mo Willem’s Knuffle Bunny are currently checked out! I was curious if there would be any overlap between Lauri’s list of top circulating picture books and ours. Interestingly, not a single book is on both lists. When I asked Lauren what she thought the greatest factor in obtaining “top ten” status was, she said the number of copies the library owns. Books with multiple copies make it possible for several to be checked out at once and for one to be available at the library for little browsers (i.e. our children) to discover. Thus they get checked out more. I also learned that one of my books made the top 25! Goodnight, Ark is tied for 22nd most circulated picture book, along with The Day the Crayons Quit and The Day the Crayons Came Home ​by Drew Daywalt.